And you deserve total feet comfort too Mamas! 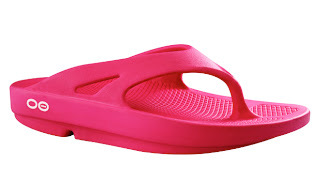 Enter to win your OWN pair of Oofos. You choose the gender, style, and color! I'd choose OOriginal Thong in Fuschia. I love the OOahh Slide in Fuschia. I love the style OOriginal Thong and the color Fuschia! Thanks for the giveaway...we like the OOriginal Thong / Black ! I like the slide in Fuschia !! I love the original thong in Fuscia! The original thong in fuschia! Thanks for a chance to win this giveaway! I'd like the mocha thong. I love the thongs in black! the thong in fuschia or black =] ! OOriginal Thong and the color Fuschia! Ooriginal thong in black would be my choice! I'd like to have the OOriginal Thong in black! the black ooaahh slides would be great as a gift! Original thong in bkack. All my shoes are black! I'd love the OOriginal Thong in Fuschia. I like the tangerine Oofos slide. Thanks for the giveaway. I would pick the women's slide in black. According to the website, the slides still only come in mocha and black. I have the thong style, and although they fit, they are slightly snug. However the footbed is exceptionally comfortable. My daughter would love the original thong in tangerine! I love the OOahh Slide Mocha!